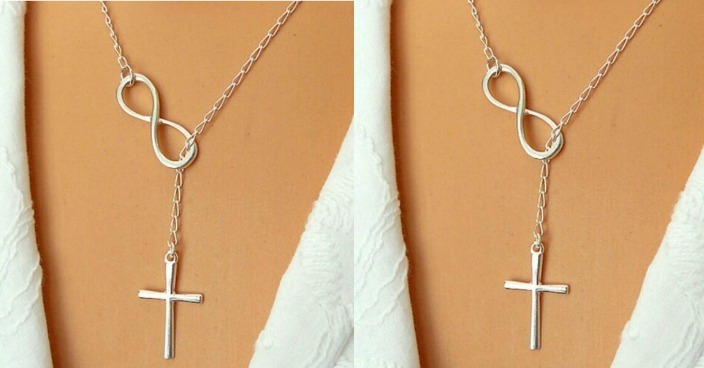 Silver Infinity and Cross Necklace Just $1.92 PLUS FREE Shipping! You are here: Home / Great Deals / Amazon Deals / Silver Infinity and Cross Necklace Just $1.92 PLUS FREE Shipping! Head over to Amazon and get this Silver Infinity and Cross Necklace for only $1.92 plus FREE shipping! This is a great addition to your jewelry collection or as a gift.